MR Video Premieres on IndiMusic TV! 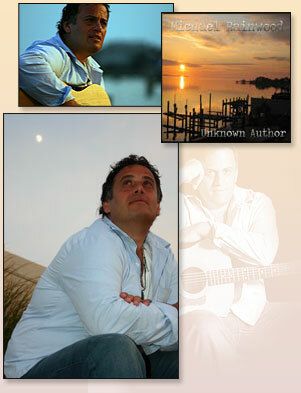 Michael Rainwood’s first video release, Unknown Author, premiered on WLNY TV 10/55’s IndiMusic TV. Michael Rainwood is a song writer – plain and simple. He’s known for his deep and meaningful lyrics tied to his folky, down-to-earth sound. Couple this with his faith and love for God and you have a winning combination! View Michael’s lyrics from the new CD Unknown Author. You can even order a beautiful print of the heartfelt lyrics of the title track right here! This beautiful, high gloss, framed print is available. Get it today, a portion of the proceeds goes towards the never-ending battle against cancer.